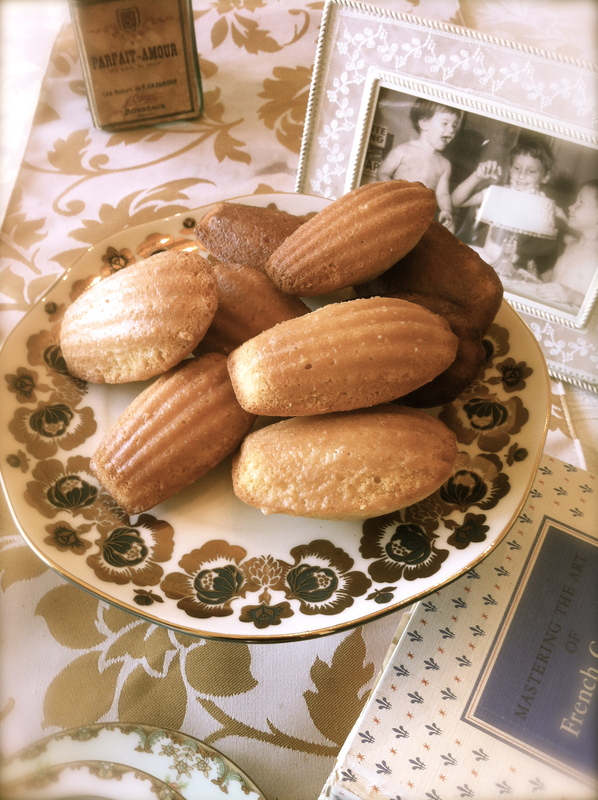 When Marcel Proust dipped a madeleine into his cup of tea, a powerful memory from his childhood emerged that led him to write the classic novel, “Remembrance of Things Past. “ Imagine such a table from nostalgic past, set for afternoon tea, bursting with memories, sparked by the delicate flavor of this simple yet elegant, shell-shaped cake. Cover and refrigerate for 1 hour. Make the glaze in a small bowl by stirring together the powdered sugar and lemon juice. Mix until smooth and creamy. Scoop batter into madeleine mold, filling 2/3 full. Bake for 10 minutes and unmold on a cooling rack. While still warm, brush glaze on scalloped side. Cool and serve with tea.